When it comes to immigration, Arizona's like that squirrely kid who just won't stand in line. In a U.S. District Court filing yesterday, a document revealed that the state will be expanding a ban on giving illegal immigrants drivers' licenses to include those who had been granted deferred deportation. The original expanse of the ban covered childhood-arrival immigrants who had been given work permits under an Obama-backed policy. But in May, a judge ruled that the policy was discriminatory: Some immigrants with permits could get work permits, while others couldn't. The solution? Not to give them to anyone, obviously. The new version of the ban includes any illegal immigrants in any category of deferred removal who receive work permits, including those allowed to stay for humanitarian reasons, like victims of domestic abuse and human trafficking. These victims are also likely to be the ones to be affected the most by the bill. Alessandra Soler, the executive director of the American Civil Liberties Union of Arizona isn't too happy about the policy. "It only reflects [Brewer's] continuing animus ... and her irrational desire to punish even more lawfully present immigrants by denying them the licenses they need to get to work and school, including abused women and their children," Soler said. Brewer contends that even if immigrants have been granted deferral, they're still illegally present in the country because they "cannot demonstrate authorized presence under federal law." Translation: Even though they're authorized to be present in the state via a deferred deportation granted by the federal government, they're still not really authorized. Not being able to drive is especially difficult in a state that only has four cities with public bus systems. So far 17,000 people in Arizona have received deferrals under Obama's plan. Soler went so far as to call the policy "vindictive," which is really an excellent adjective. “You have a population of people here who aren’t going to be able to work even though they are willing and able to,” Tom Rex, an economist at the W.P. Carey School of Business at Arizona State University, told the Arizona Republic . 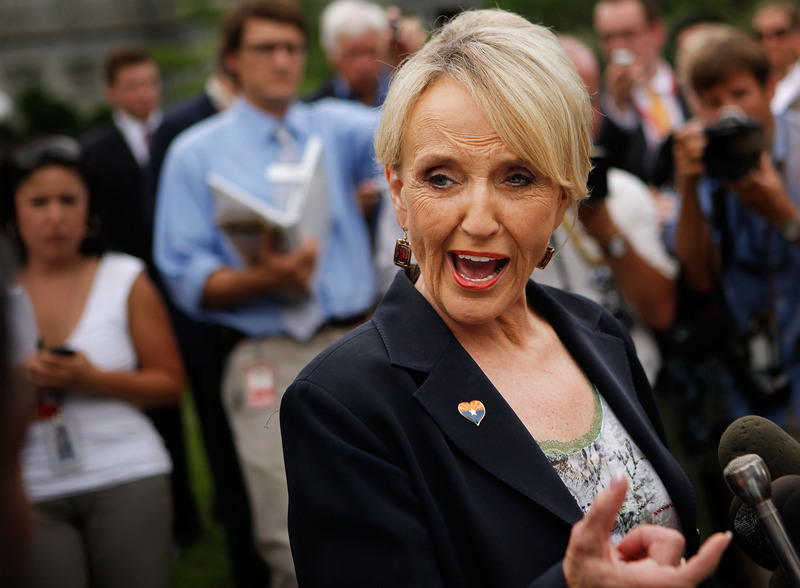 It's not the first time Arizona's stepped out of line with Obama-backed policies: In 2010, Brewer signed legislation requiring police to stop and question people thought to be in the country illegally about their immigration status. The only other state in the U.S. to deny licenses to immigrants covered under Obama's deferred action policy is Nebraska.